Instead of us just telling you how good we are, we asked Kelly Smith to tell us about her business and why she likes using our cloud-based Sage One Payroll service. 1. Hi Kelly, could you please give me a brief summary of who you are, the name of your business and what you do? 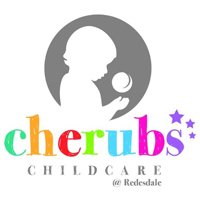 Hi my name is Kelly Smith, I am the Owner and Manager of Cherubs Childcare @ Redesdale. My setting is a privately run breakfast, after school and holiday club in Wallsend, Tyne & Wear for children aged 3-11. We provide care from 7.30am until 9am then 3pm until 6pm during term time, in school holidays we are open 7.30am until 6pm (excluding bank holidays and the two weeks at Christmas time). I have 6 employees working for me: deputy manager, playworker, supply playworker, 2 apprentices and a kitchen operative. The business is solely mine, I am the only shareholder. I have been using payroll since the first month of opening my business. It has been an amazing tool as I was very unsure about payslips and tax codes but this system just made it so simple to understand and complete. I had to phone up just to make sure I was completing all parts correctly but the staff were very friendly, they talked me through it step by step. Something else that was fantastic…The end of year button…Tax return and P60s made easy in my eyes! I love the new feature of different payslip templates being available to download, as well as being able to send payslips to my employees by email too. The advice I would give to anyone starting out their own business is to do as much research into what you will need from HMRC first then it will make the transition so much easier into having a steady business. Oh and of course tell them to get Sage One Payroll! It may sound cheesy but I couldn’t have managed paying my staff or end of year returns without this software! If you need professional but easy-to-use and low-cost payroll software, take a look at our Sage One Payroll page where you can try it free for 30 days.